The d block elements display several exceptional behaviours, and one of them is the irregular trend in ionization enthalpy of 3d elements. The reason given by my textbook is very confusing, which I'm unable to grasp. I would appreciate if someone explains me this statement in a simple way. Browse other questions tagged inorganic-chemistry transition-metals ionization-energy or ask your own question. Why do elements in columns 6 and 11 assume 'abnormal' electron configurations? How does the radial distribution function of Vanadium differ from that of Calcium and how does this affect the ionic electron configurations? Compare the ionization energies of C and Cl? Difference between ionization enthalpy and work function? 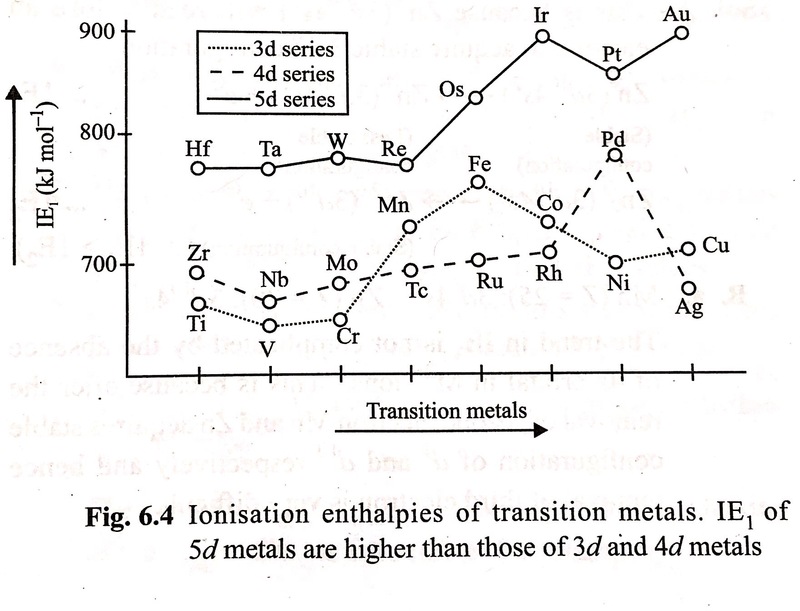 Why the ionization energy of Au is more than that of Cu?